This property is 3 minutes walk from the beach. 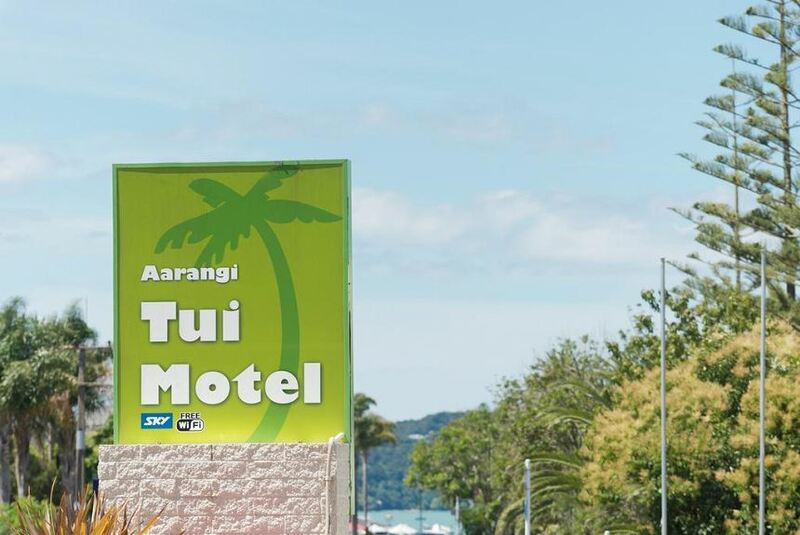 The Aarangi Tui Motel is located in the heart of Paihia, only 150 m from the wharf. All studios and apartments have satellite TV featuring 50 satellite channels and self-catering facilities. Guests staying at Aarangi Tui have access to on-site laundry facilities, DVD players and movies. Free unlimited WiFi access and flat-screen TVs are provided in each room. There is a trampoline on site and the property is adjacent to a children's playground and just a minute's walk to a bicycle and scooter track. Aarangi Tui Motel is 5 minutes' drive from both Waitangi Treaty Grounds and Waitangi Mountain Bike Park. It is 10 minutes' drive from Haruru Falls. There is a large garden with barbecue facilities and picnic tables. Free parking for cars and boats is available on site.